The Whistler was one of radio's top mystery programs airing from May 16, 1942 until September 22, 1955, sponsored by the Signal Oil Company. The Whistler was an ominous narrator who opened each episode with: "I am the Whistler, and I know many things, for I walk by night. I know many strange tales, many secrets hidden in the hearts of men and women who have stepped into the shadows. I know the nameless terrors of which they dare not speak." The opening dialog was heard over the echo of footsteps and a haunting signature 13-note theme, whistled each week by Dorothy Roberts. The stories followed an effective formula in which a person's criminal acts were typically undone by their own missteps. The Whistler narrated the story, often commenting directly upon the action in the manner of a Greek chorus, taunting the criminal from an omniscient perspective. One of the show's trademarks was the ironic twist endings that helped serve as a payoff for the listener. Bill Forman held the title role of host and narrator the longest. 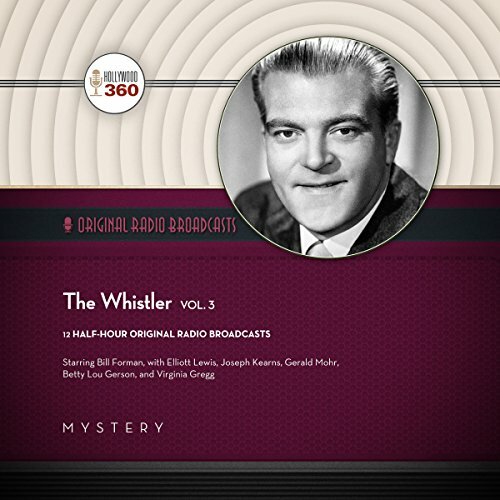 Others who portrayed the Whistler include Gale Gordon (later starring in I Love Lucy), Joseph Kearns (Mr. Wilson in television's Dennis the Menace), Marvin Miller (later starring on television as Michael Anthony in The Millionaire), Bill Johnstone (The Shadow on radio from 1938 to 1943), and Everett Clarke. "Strange Sisters" (28 Jan 1946), "Panic" (4 Feb 1946), "Six Letter Word for Death" (11 Feb 1946), "Murder in Haste" (25 Feb 1946), "Terror Stricken" (8 Apr 1946), "Smart Boy" (15 Apr 1946), "Ambassador of Death" (16 Jun 1947), "Beyond Reasonable Doubt" (16 Jul 1947), "Whispered Verdict" (13 Aug 1947), "Curtain Call" (27 Aug 1947), "A Question of Murder" (4 Aug 1948), "Payment in Full" (1 Sept 1948).